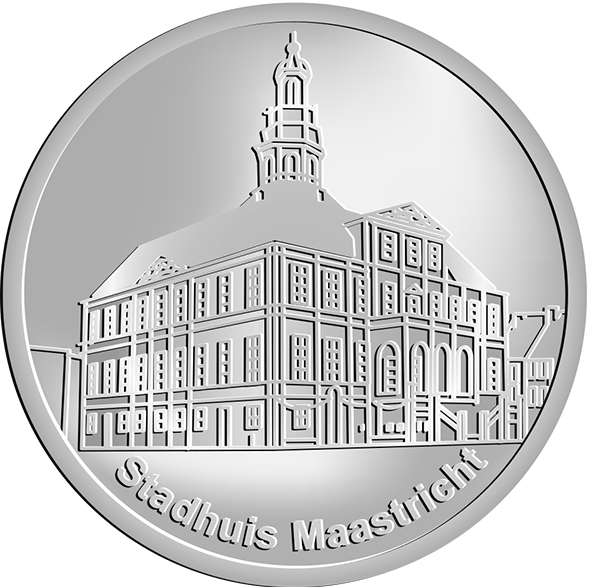 The old Town Hall (Stadhuis), in the Markt, was built by Pieter Post between 1658 and 1644 as a Cloth Hall. It has a neo-classical facade with pilasters and a handsome doorway approached by an imposing double staircase, designed to enable the two rulers of Maastricht, the Duke of Brabant and the Prince-Bishop of Liège, to enter the Town Hall simultaneously. In the tower (1684) is a Hemony carillon of 43 bells. Notable features of the interior are the tapestries, the stucco ornament, the ceiling paintings and the fine chimney pieces.